Mothers always say to eat your vegetables. But in the case of Brussel Sprouts, it’s best not to even bother. Apart from the good company of my friends, dinner at Brussel Sprouts (Big Splash) left a bad taste on my tongue and an impeccably bad impression. Arriving at the venue, the place looked somewhat decent, a nice bar, delicious posters boasting expensive mussels. Seemed like a lively place. 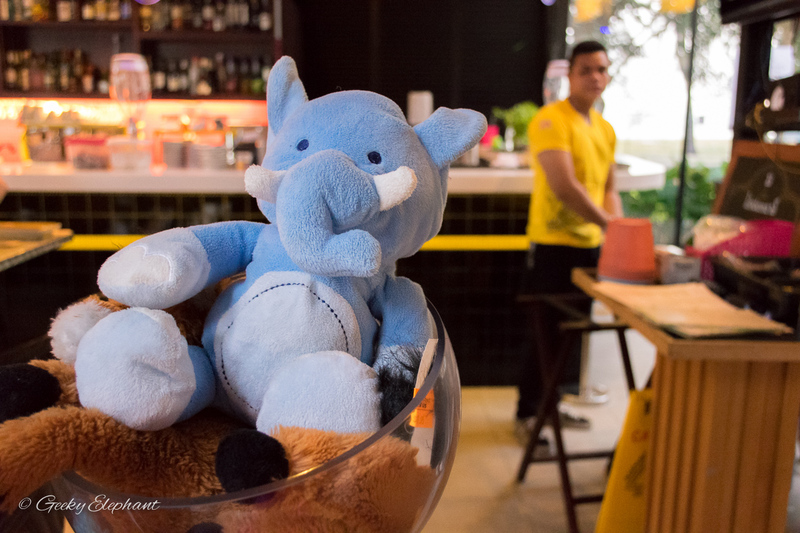 We were taken to our reserved table which was neatly laid out, then after just a short while the way the waiters quickly asked if they could take our orders did seem like they were trying to create a faster turnaround on customers. I looked at the menu, but it didn’t seem impressive apart from the mussels and clams which I wasn’t too keen on that day. Brussel Sprouts: A children friendly environment. In the end I decided to go for the Roulade De Poulet ($28.00++)—Chicken thigh, air-dried ham, garlic butter & rosemary potatoes. The price was already a put of, considering the casual bistro style dining. 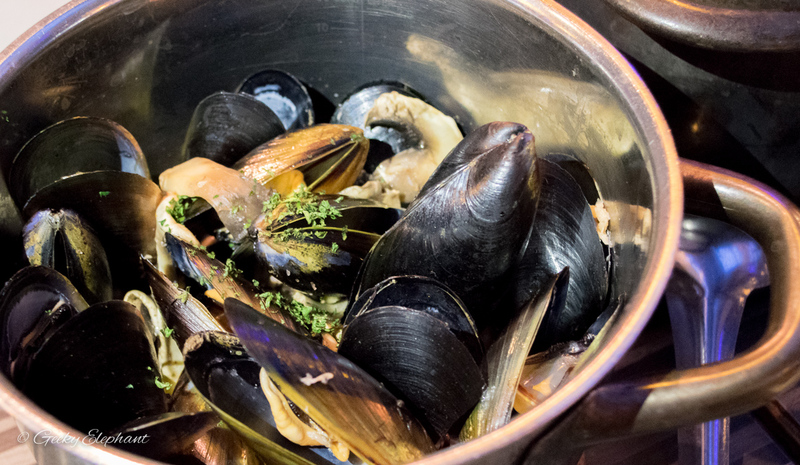 My friends decided to go with a few pots of Mussels & Fries to share ($40.00/pot—main size) in different sauces. Brussel Sprouts: Pot of Mussels. The Roulade De Poulet was disappointing to say the least. The dry texture of the potatoes seemed like they were the “air-dried” items left out too long. There was hardly any flavouring either. Seems they forgot to season the potatoes apart from adding some rosemary. The salad was ok, but then again you can’t really go wrong with salad leaves. The Chicken Thigh wrapped in “air-dried” ham was absolutely disappointing and the most salty food I’ve tasted in a long while. Seems maybe they forgot to season the potatoes and added extra salt to what would’ve already been a salty ham. As salty as sprinkling salt on your tongue, the very thin slice of ham covered any taste that the overly cooked, tough and dry chicken would’ve had. This dish would’ve benefitted from some sauce. I’m not sure where their garlic butter comes in, as described on their menu. The decorative sauce on the plate tasted like tomato pasta sauce straight out of the bottle (and fridge—it was actually slightly chilled). Apart from the attempt of presentation, this dish was hard to swallow and I wouldn’t recommend the Roulade De Poulet at all. 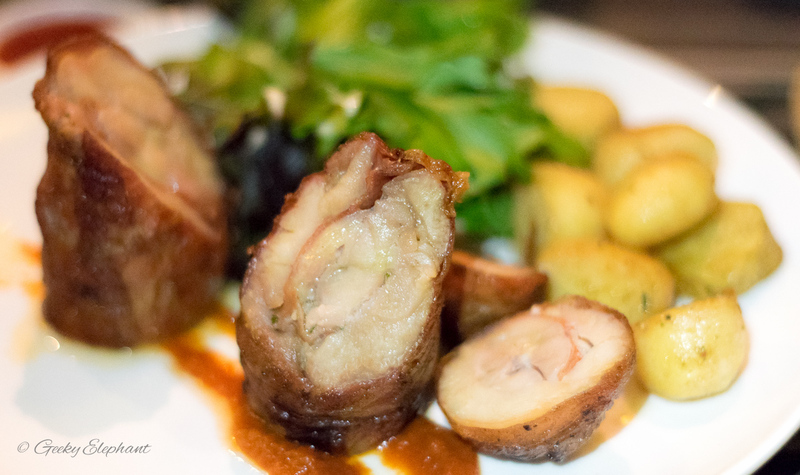 Brussel Sprouts: Roulade De Poulet—Chicken thigh, air-dried ham, garlic butter & rosemary potatoes. 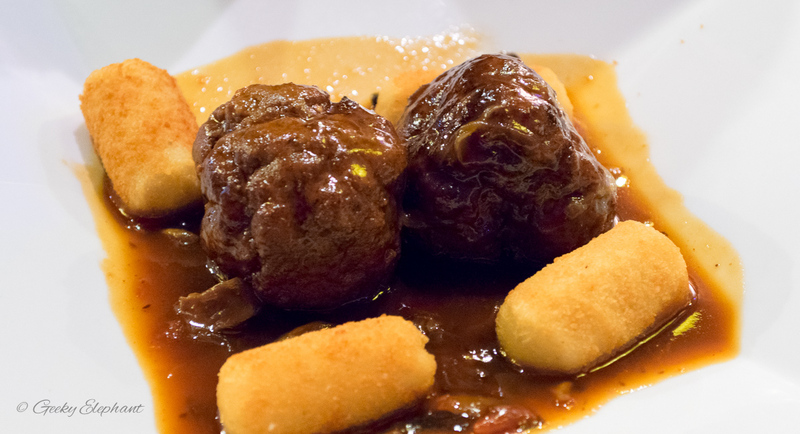 My friend had the Boulettes ($25.00++)—Braised meatballs and potato croquettes. Judging by 3/4 of the meatballs left on her plate, it’s best to stay away from these meatballs too. Apparently they had a very strong pungent meat taste. The potato croquettes were ok, but then again you can’t go wrong with deep fried potato croquettes right? Brussel Sprouts: Boulettes—Braised meatballs and potato croquettes. For desserts we ordered 2 X Crepe A La Banane ($10.00++/ea)—Crepe, Banana, Butterscotch Sauce, Chantilly Cream & Roasted Almond and a Creme Brûlée ($10.00++). My friend sent back the Creme Brûlée after a couple of scoops as the texture resembled a creamy mousse instead of a creamy, slightly firm custard. 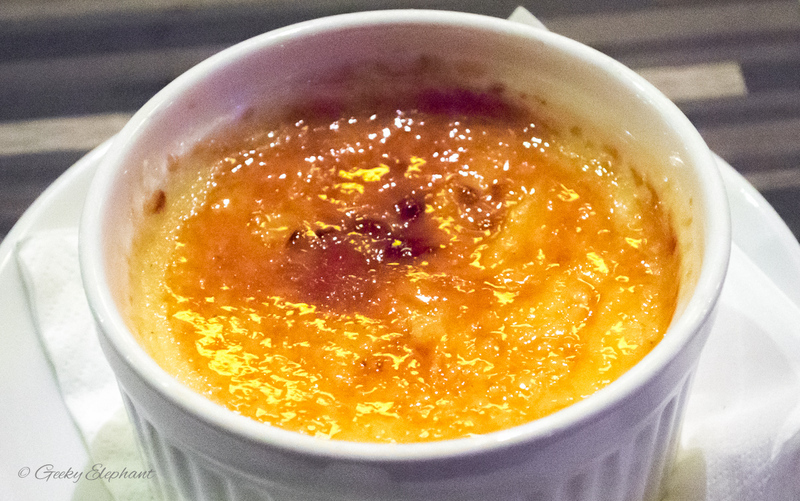 Definitely wasn’t the usual Creme Brûlée texture enjoyed elsewhere. As for the Crepe A La Banane, it was a complete disappointment too. The Cardboard Crepe resembled stiff flavourless paper. I would’ve thought that the ice cream would’ve at least been edible, but the speckled ice-cream did not taste like vanilla nor did it have any distinct flavour. My friend joked that the only thing edible on the plate was the roasted almonds. I beg to differ. The only thing edible on the plate were the bananas wrapped inside the crepes. So we paid $10.00++ each to free half a banana from the clutches of tasteless paper crepe. 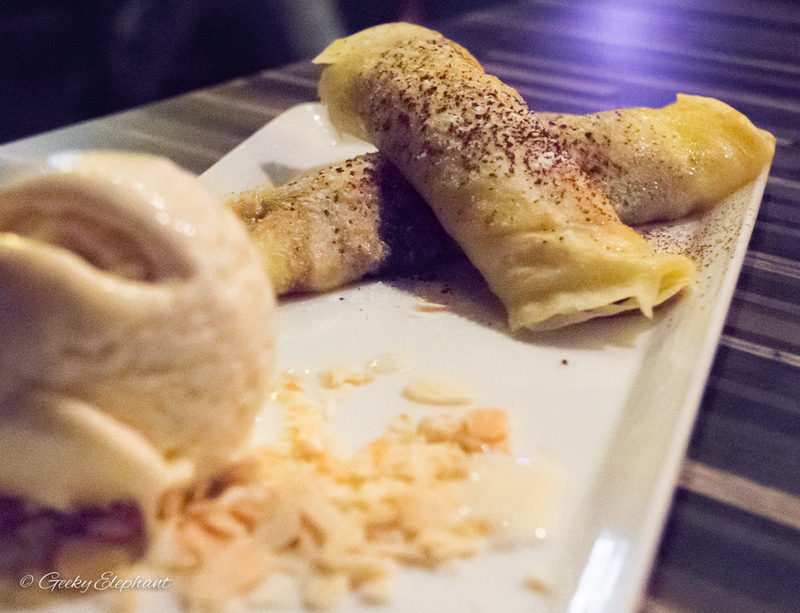 Brussel Sprouts: Crepe A La Banane—Crepe, banana, butterscotch sauce, chantilly cream & roasted almond. I would say that the ambience is nice if you’re looking for somewhere to hang out with groups of friends outside of town. 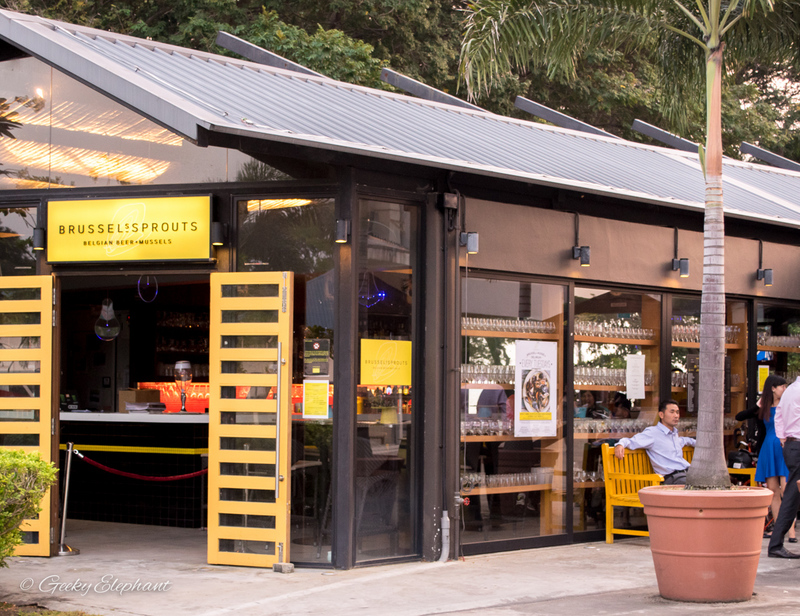 The location is a little difficult to get to and I wouldn’t travel all the way just to dine at Brussel Sprouts. The prices aren’t justified by the poor, confusing service and unsatisfying food. Maybe just stick to the Mussels and Beer if you ever do visit the outlet. This is definitely going on my miraculous list. Miraculous list of outlets which I can’t understand why they even have customers when there are so many better outlets out there with more acceptable food and service. I’ve heard that the service is acceptable at Robertson Quay outlet, so maybe that’s the place to dine? This is strictly my opinion. Maybe we happened to dine there on a bad day? Given the location and experience, I would not return to this outlet of Brussel Sprouts. The food was dismal to say the least, or maybe we tried the wrong dishes. Service standards were lacking, especially when we returned a dessert and expressed our concerns about it. The Roulade De Poulet was extremely salty on the outside and the chicken thigh was dry and tough. Desserts were not any better, the Crepe A La Banane should have been returned to the kitchen as the crepe was dry and cardboard-like. The food standards and service are two areas that definitely need improvement at Brussel Sprouts. 0 Comments on "Brussel Sprouts: A dissatisfying taste"